On Friday, Sioux Falls is going to become a safer place, certainly in theory and maybe in actuality, a city ordinance that bans texting and driving going into effect. That’s right, New York City Mayor Michael Bloomberg – the Foo is looking out for people, too, and without taking away their buckets o’ soda. TV will spend countless hours staring at this over the next nine months. Considering how much time I spend operating one, my lack of knowledge about cars is fairly astounding. 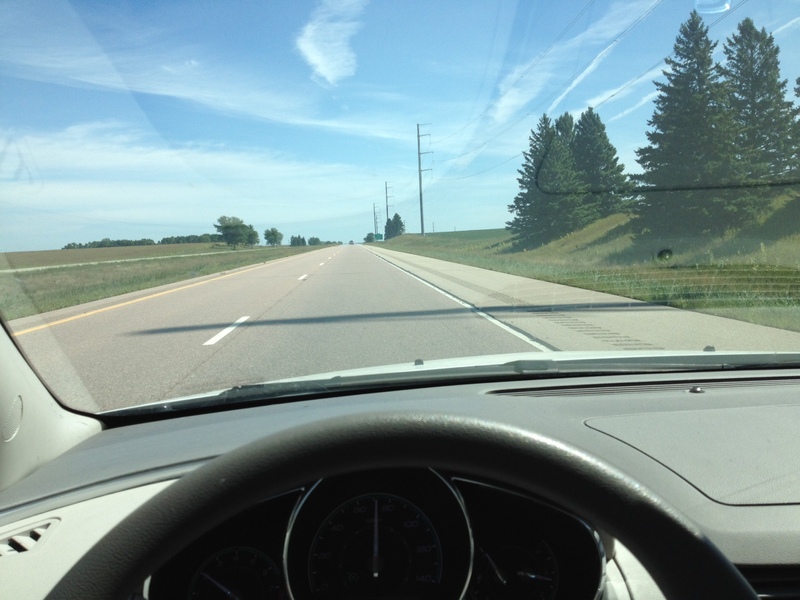 The school year starts today in Sioux Falls and soon at South Dakota State, meaning I’ll spend more time than I can easily count on the road and in the air, traveling back and forth and here and there. It’s part of my job as a sports reporter – a big part of it, sometimes. Take the back half of last week, for example. (And I write this despite fully acknowledging that travelogues are arguably as uninteresting as retroactive play-by-play of a round of golf or a hand of poker. That’s never stopped me before.) On Thursday evening, I drove 50 miles from Sioux Falls to Brookings to attend a two-hour football practice. I made the return trip, too. Friday morning, it was off to Minneapolis to cover a Vikings preseason game. That’s 4 hours each way. I got home at 4 a.m. About six hours later, I was headed to a muddy field near a town called Renner to run an obstacle-laden 5K. Certainly, not every three-day span from September to June is like that, but many of them are. The bald, middle-aged man in the driver’s seat brought his car to a stop, honked the horn and waved to the young woman in skimpy red shorts standing on the side of the road, calling her to join him in the front seat. I followed and climbed into the backseat. I mean, I never thought I’d be taking a ride like this. That doesn’t sound much better, does it? Try again: I never thought I’d stand on the Jersey side of the George Washington Bridge and crawl into the backseat of a stranger’s car for a lift to New York City. But commutes in the big city make strange carfellows of us all.